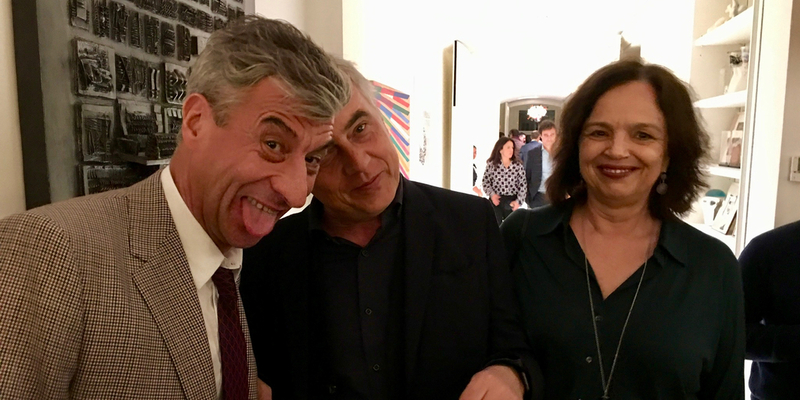 Artist Maurizio Cattelan with Stefano Boeri, President Triennale di Milano and his wife Maddalena Bregani. A very Milanese sense of discretion emerged from this year’s Art Week. A quiet Marco Tronchetti Provera was seen alongside Sheela Gowda at the presentations at Pirelli Hangar Bicocca. 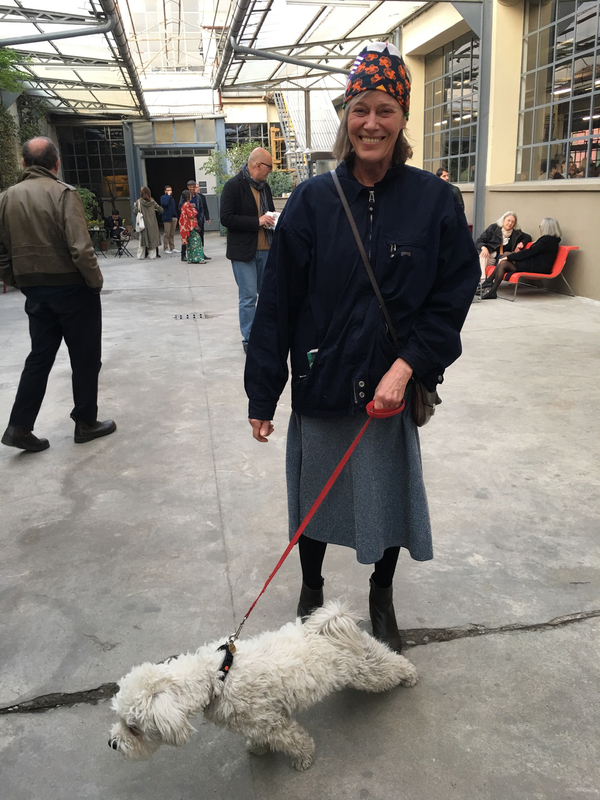 Elena Quarestani was at Assab One, her former printing house, with Andrea Mastrovito, Andrea Branzi, and Chiaki Maki, while gallerists such as Gio Marconi dined at old trattorias with a few friends to celebrate Joep van Lieshout. Heiner Wemhöner staged an impeccably curated selection of work by artists in his collection—Isaac Julien, Masbedo, Julian Rosefeldt, Yang Fudong—at the Palazzo Dugnani. 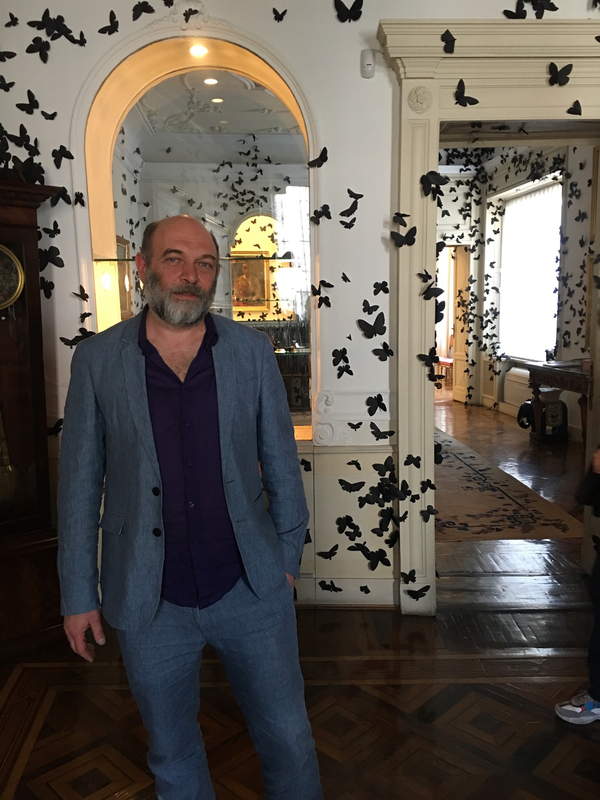 The thousands of black butterflies that filled Fondazione Adolfo Pini for Carlos Amorales’s L’Ora Dannata (The Accursed Hour), served as a counterbalance to Lygia Pape’s rigorous rays of gilded thread at the Fondazione Carriero, feted a few days prior by a sophisticated mix of Milan’s international set, summoned by Giorgio Carriero, a paramount if prudent patron. 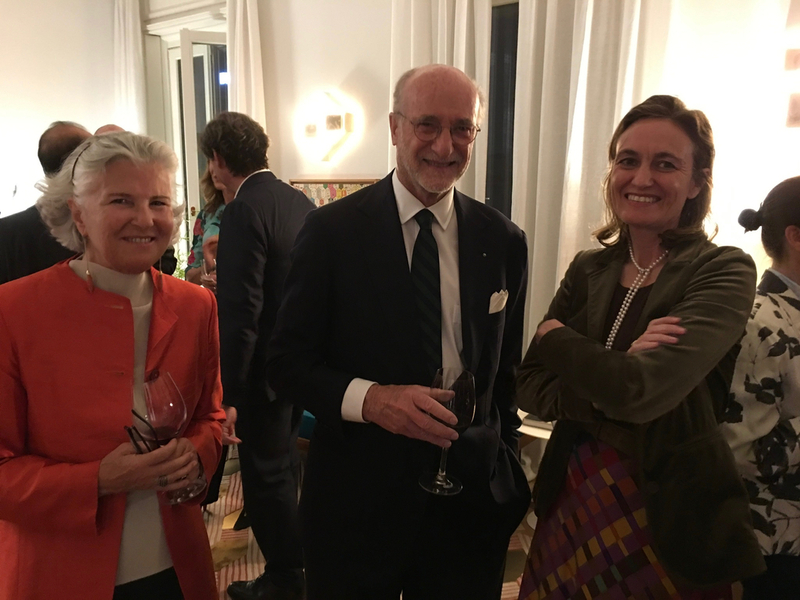 Philanthropist Martina Rocca Fiocchi, Gianfelice Rocca, President of Techint Group, and Francesca Bazoli President Brescia Musei. Beatrice Trussardi, through the Fondazione Trussardi, made a city donation of Ibrahim Mahama’s deinstalled A Friend, a prodigious jute sack–wrapping of two historical tollgates. Trussardi is a shy person, and while the city’s heavyweights cross paths at her banquets, little is recorded about these encounters other than in these pages. 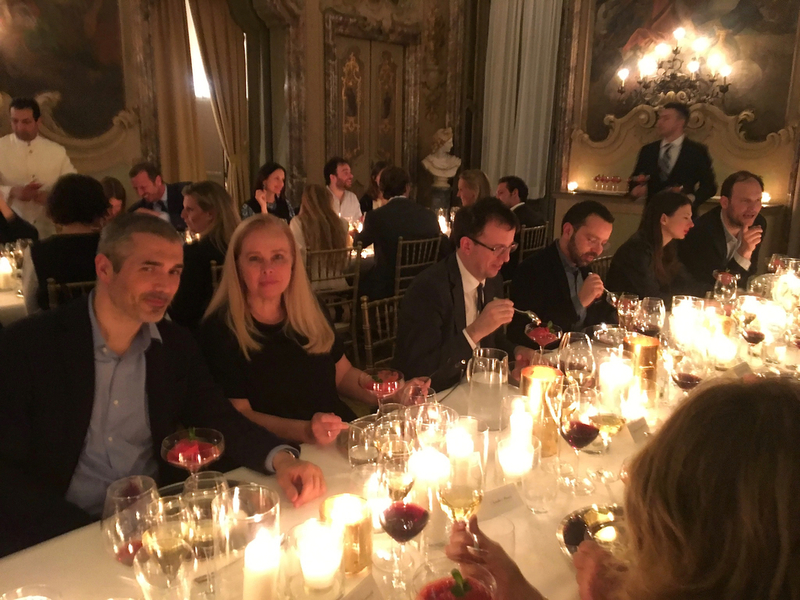 The same holds for publisher Achille Mauri, who invited a scant thirty people to celebrate Iwan and Manuela Wirth. Mauri engaged in discussions with the Wirths, Milan’s mayor Giuseppe Sala, and James Bradbourne, director of the Brera, regarding the future of Palazzo Citterio. 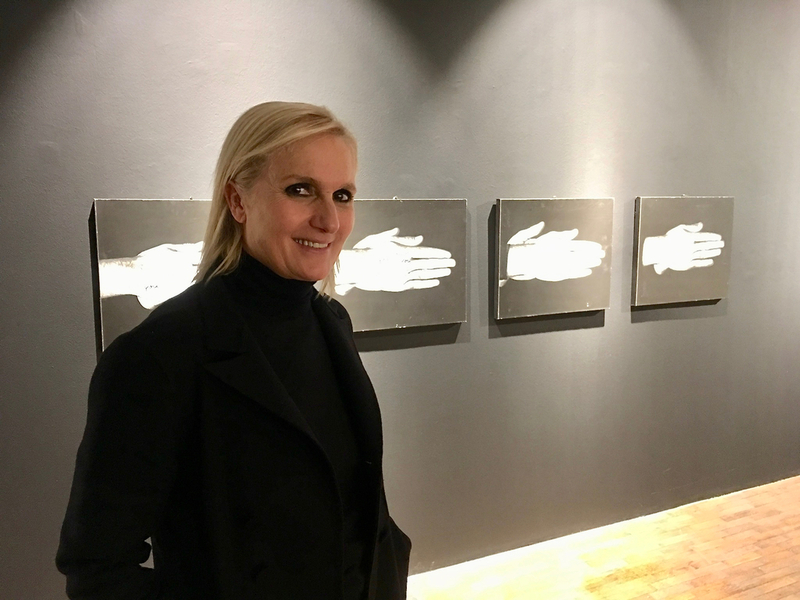 Maria Grazia Chiuri, creative director of Dior and sponsor of “Unexpected Subject: 1978 Art and Feminism in Italy,” gave a touching speech, thanking the many women artists—now nearly all in their eighties—in attendance at the FM Centro per l’Arte Contemporanea. Over the years, this closely knit and curious city has let Miart prosper, anchored by institutions and cherished by the public. Galleries such as Cabinet, Corvi-Mora, Marian Goodman, Hauser & Wirth, Herald St, Thaddeus Ropac, Andrew Kreps, Barbara Gladstone, Bortolami, Isabella Bortolozzi, Campoli Presti, and ChertLüdde allowed select international collectors to deftly make acquisitions (and afterwards, for once, sleep in their own beds). The icing on the cake: a beautiful exhibition and performance by Anna Maria Maiolino at PAC. 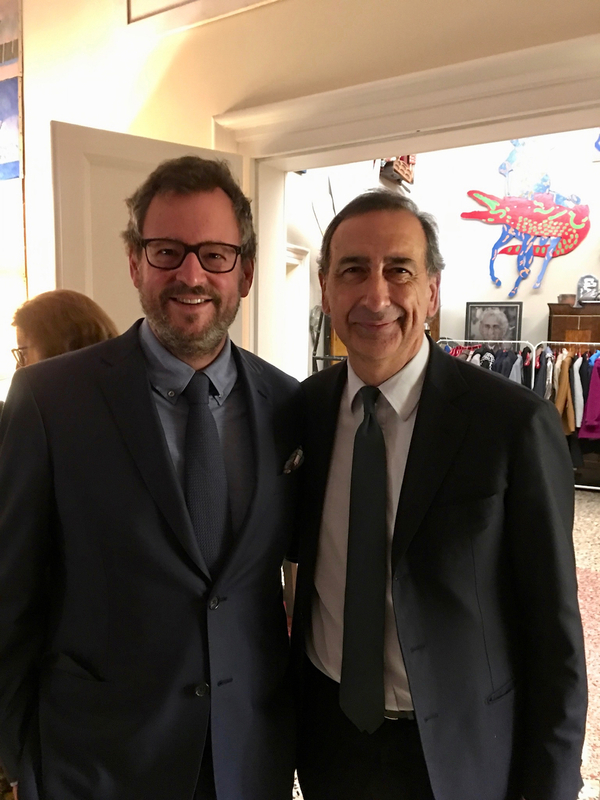 That day, at Thinking Italian Milan, Christie’s white-glove annual auction in Italy, everything sold. 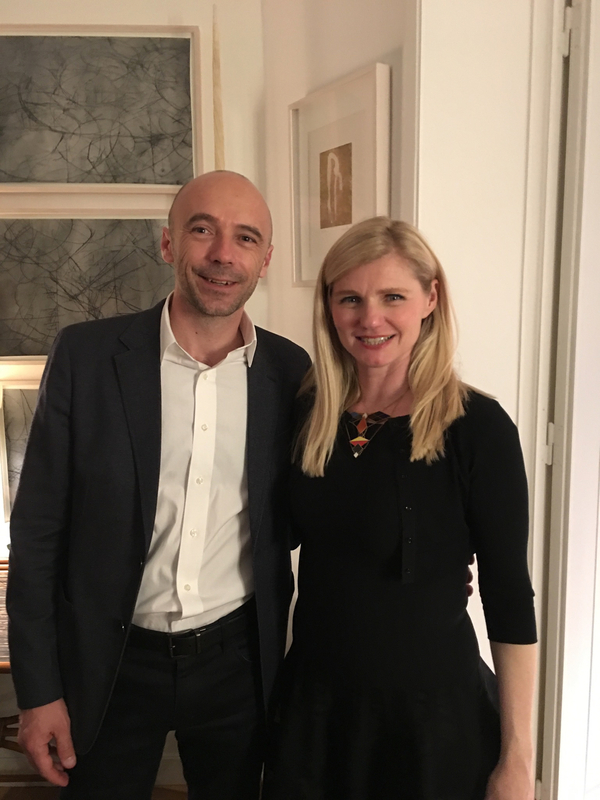 Curator Francesco Stocchi with Paola Pape at the Fondazione Carriero dinner. What else? On Friday, April 5, Angela Missoni unveiled an incredible house fashioned entirely from crochet by Alessandra Roveda, while Marco Balich, organizer of Olympic ceremonies, presented an installation underneath the navigation sluices designed by Leonardo da Vinci in the former naviglio canals. The city’s various offerings weren’t just for VIPs. 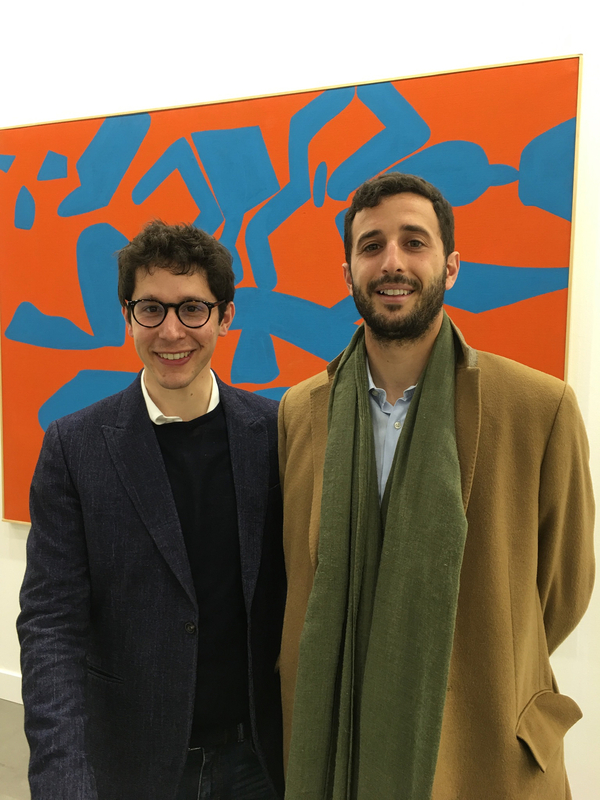 There was the C+N Canepaneri’s opening for Alberto Garutti, an artist treasured by younger practitioners, and at Nowhere Gallery, Fabrizio Vatieri convinced gallery owner Orio Vergani to participate in the former’s Buchi nell’acqua (Holes in the Water) performance. 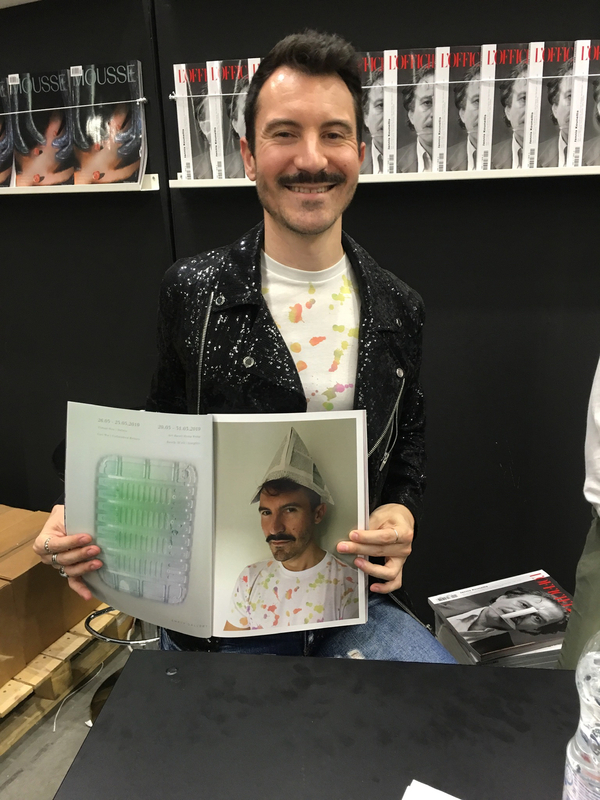 At Kreëmart, Raphaël Castoriano and I ate macarons inspired by the memories of Tony Oursler. They tasted Ourslersque. Finally, there was no better way to spend Sunday than to visit the San Paolo Converso church to experience Words, Allan Kaprow’s 1962 participatory installation, for which audiences write on various supports. Thanks to curator Alexander May, I was able to enter before the opening and make my mark on the still-untouched sheets. Amen. 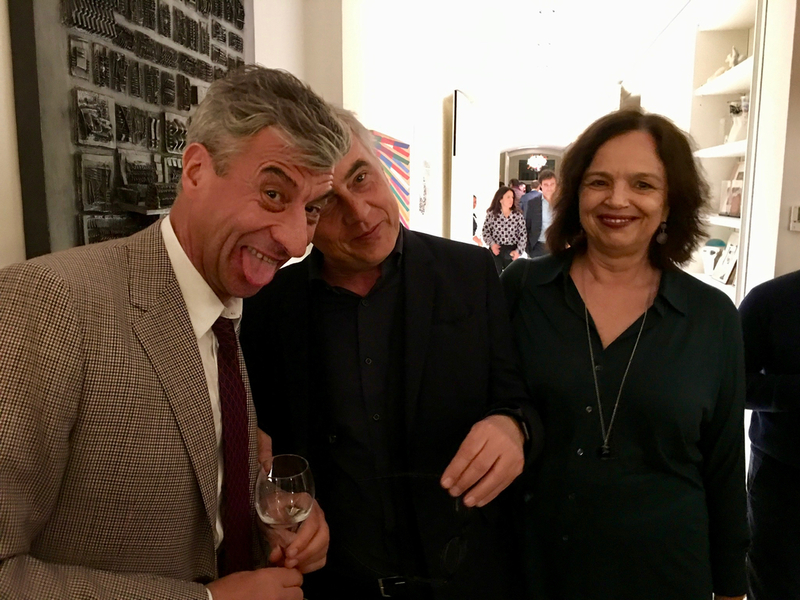 Gallerists Daniella Minini, Massimo Minini with curator Luca Cerizza. 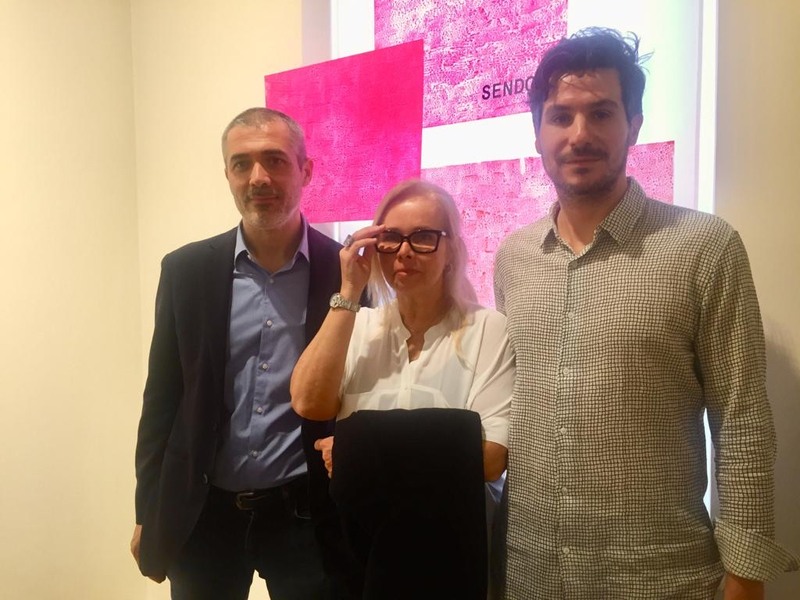 Curator Francesco Stocchi, Paola Pape, and António Leal at Fondazione Carriero. 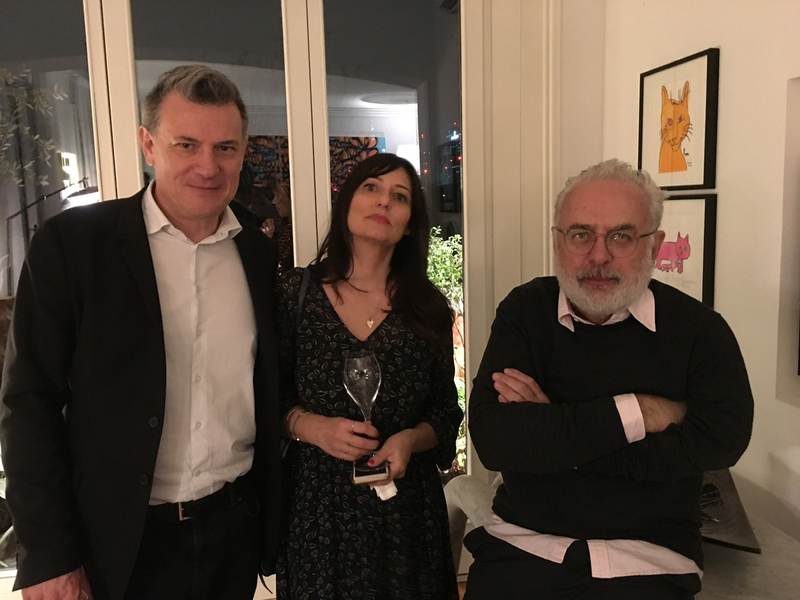 Olimpia Piccolomini, director Fondazione Carriero, Alessandro Rabottini, director of Miart, Filippo del Corno, Assessore alla Cultura, Comune di Milano. 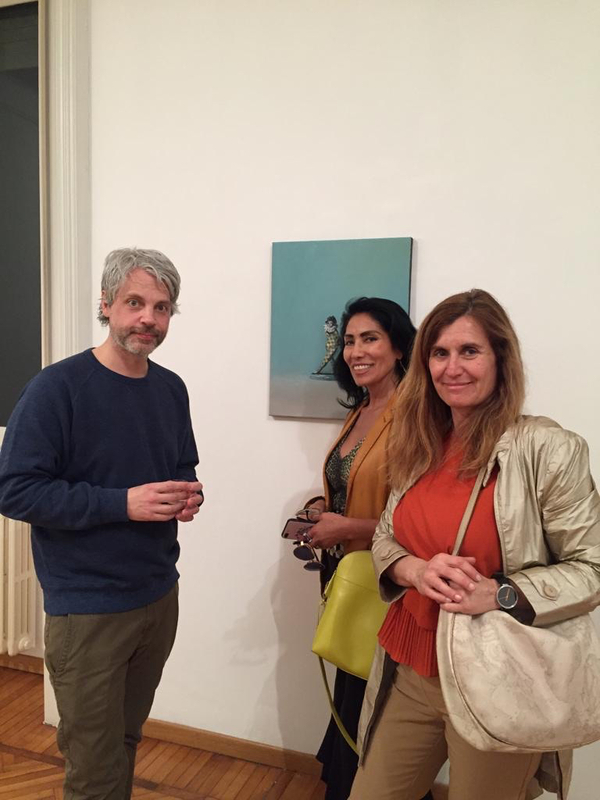 Artist Ivan Seal with Maria Selena Rudolf and Gabriela Spector. 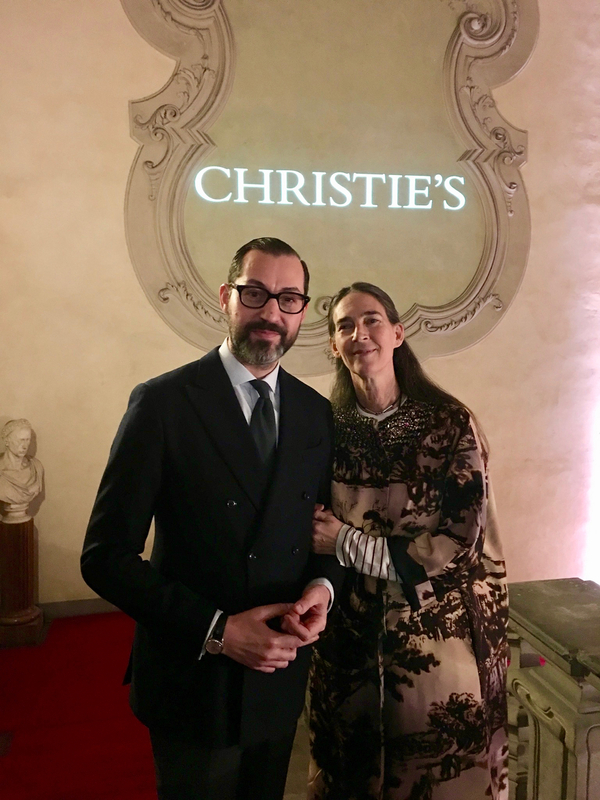 Cristiano De Lorenzo, director Christie's Italy, and Bianca Arrivabene Valenti Gonzaga, Deputy Chairman at Christie's Italy. 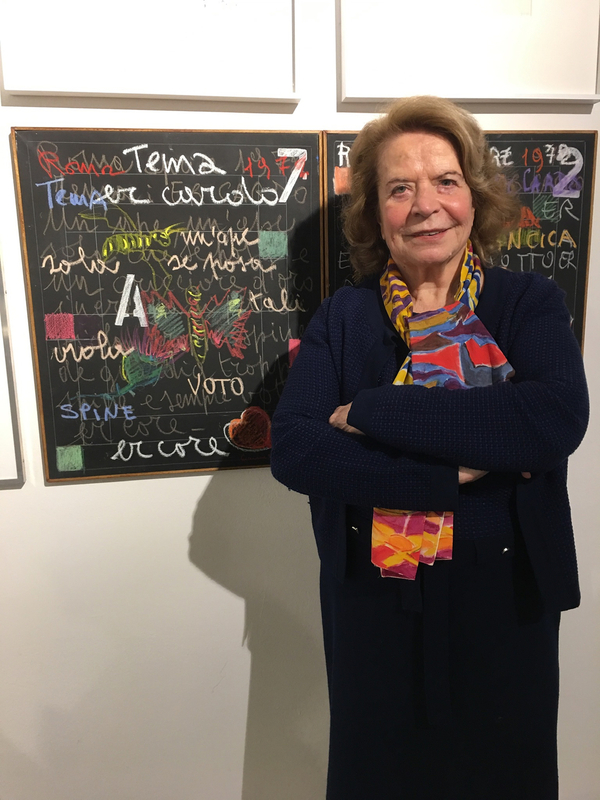 Artist Carlos Amorales with Ora Dannata at Fondazione Adolfo Pini. Artist Nathalie du Pasquier at Assab One. 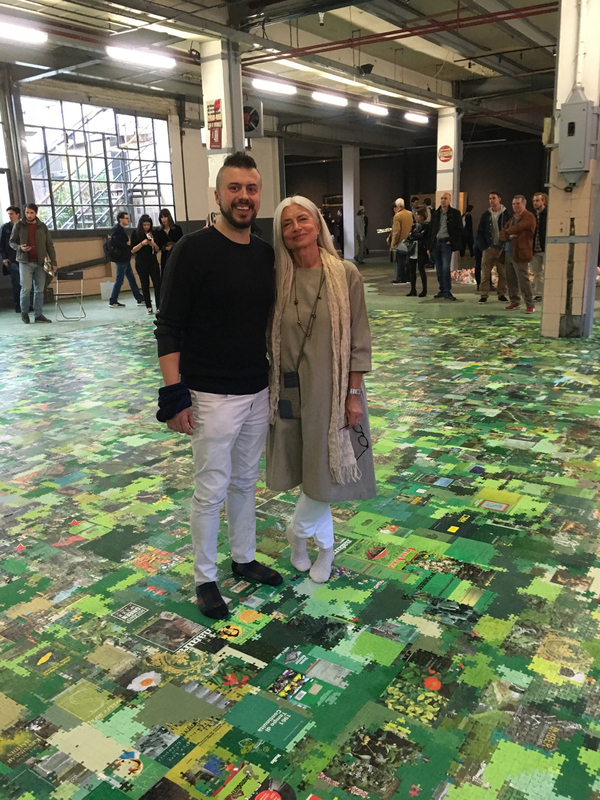 Artist Andrea Mastrovito with curator Elena Quarestani, standing on Matrovito’s installation, Babel, 2019. 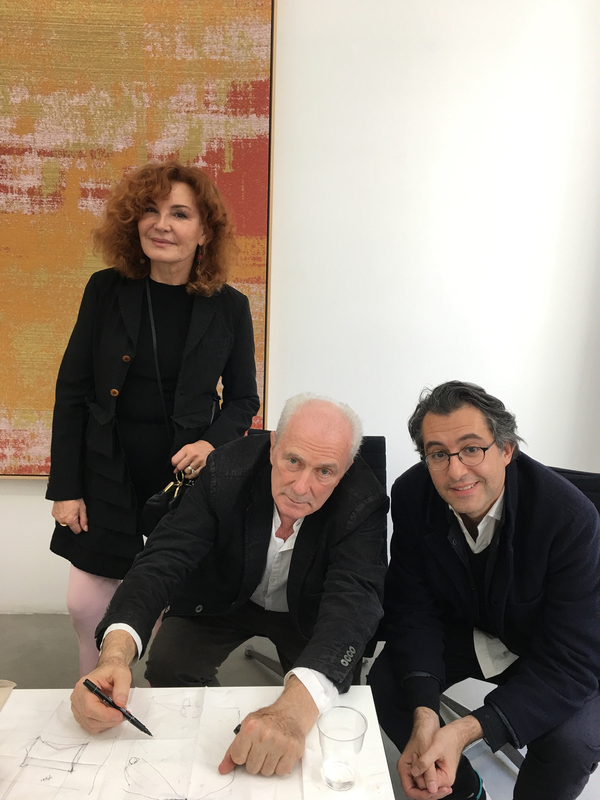 Robert Pisoni, director Sky Arte, his wife Maria Cristina Cipriani and Francesco Bonami, art critic and curator. 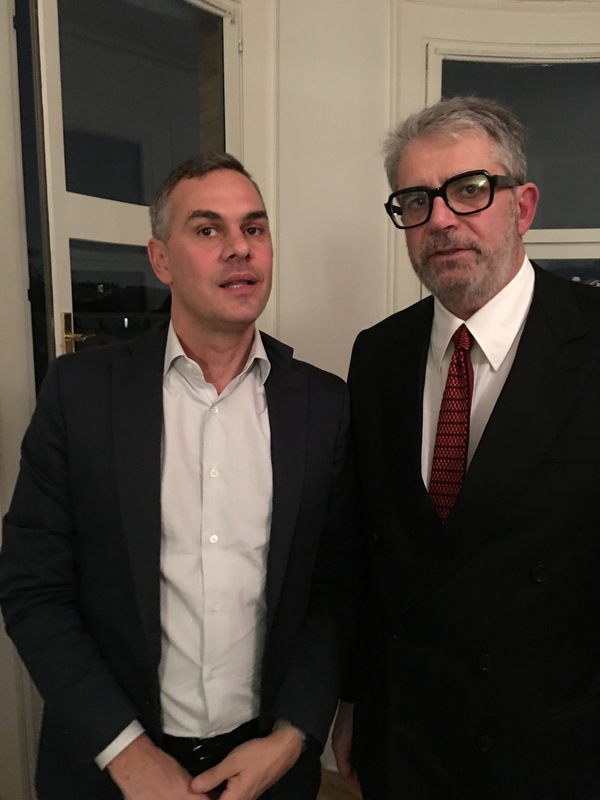 Massimiliano Gioni, Artistic Director Fondazione Trussardi and Associate Director and Director of Exhibitions at the New Museum of Contemporary Art, New York, with gallerist Gio Marconi. 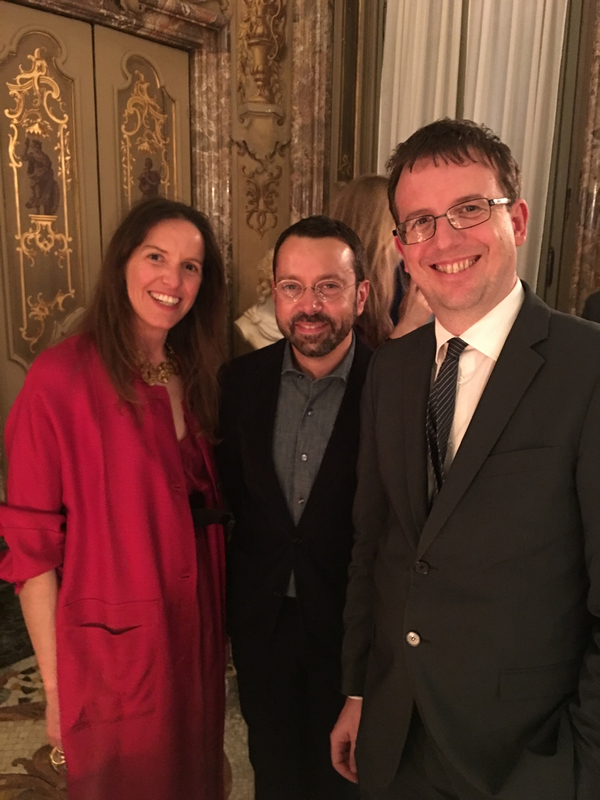 Cristian Valsecchi, General Manager Fondazione Prada, and Beatrice Trussardi, Fondazione Trussardi. Artist Simone Weller at FM Centro per l’Arte Contemporanea Il soggetto imprevisto. Maria Grazia Chiuri, artistic director of Dior. 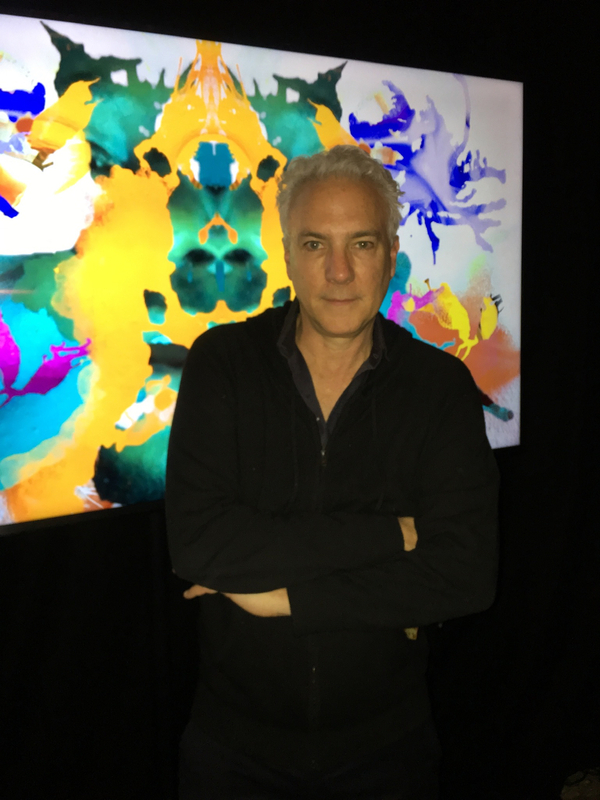 Gallerist Raphaël Castoriano presenting Tony Oursler’s Mind Blow in Milan. 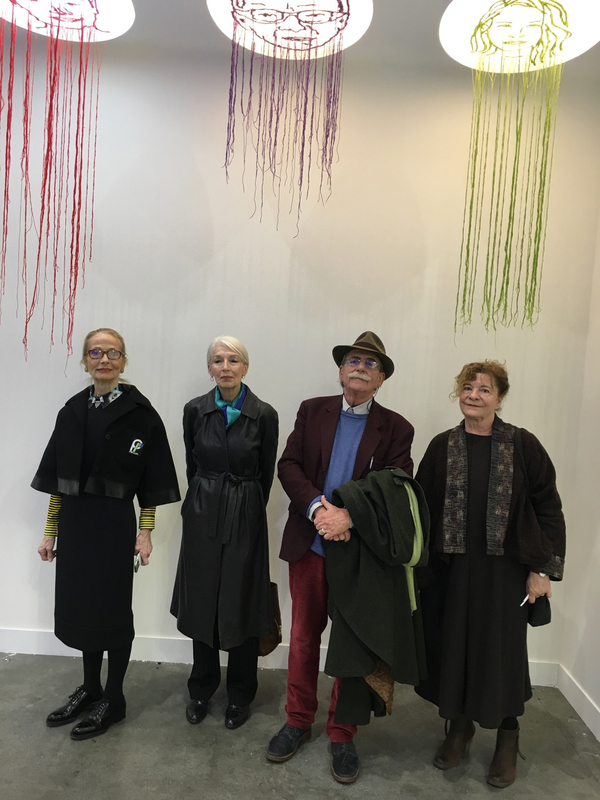 Gallerist Luisa Delle Piane with design historian and critic Cristina Morozzi, architect and artist Ugo la Pietra, and Aurelia La Pietra under a project by Campana Brothers. Matteo Bergamini, director of Exibart. 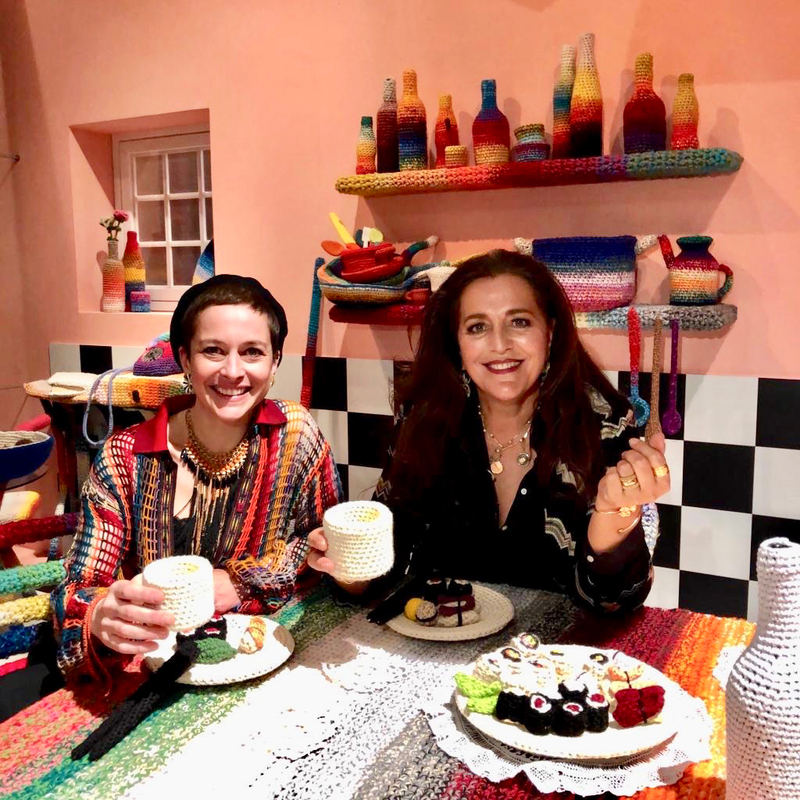 Alessandra Roveda, artist, and Angela Missoni, creative director and president of Missoni, sitting in Home Sweet Home by A. Roveda. 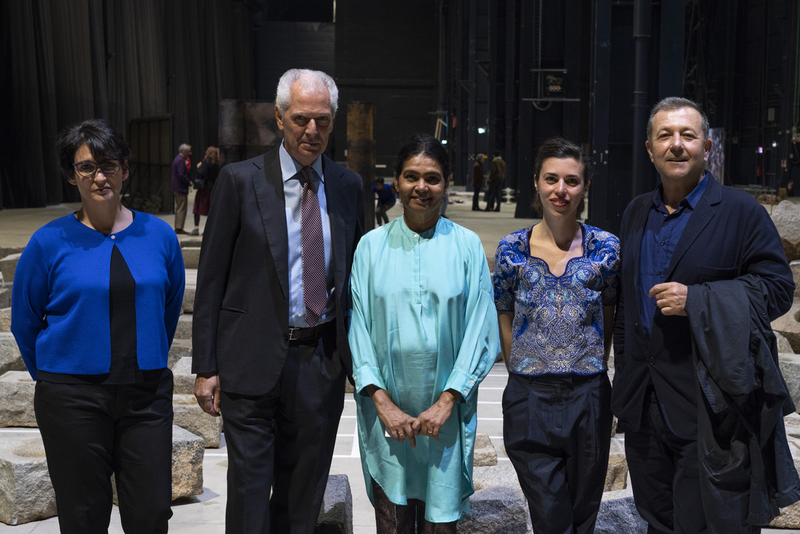 Cocurator of the show and director at Bombas Gens Centre d'Art Nuria Enguita; chairman of Pirelli HangarBicocca and executive vice chairman and CEO of Pirelli Marco Tronchetti Provera; artist Sheela Gowda; cocurator of the show and assistant curator of Pirelli HangarBicocca Lucia Aspesi and artistic director of Pirelli HangarBicocca Vicente Todolí. 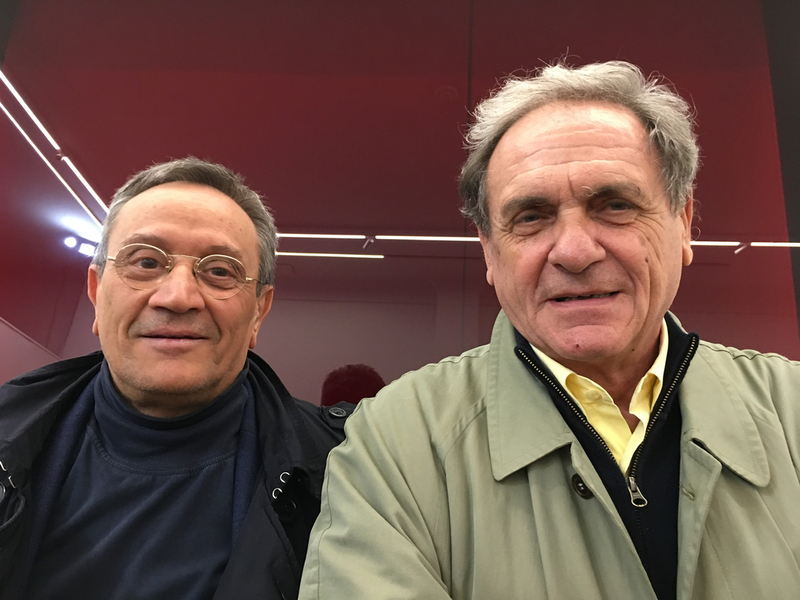 Iwan Wirth, gallerist, and Giuseppe Sala, Mayor of Milan.